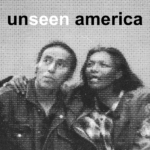 We engage in a variety of strategies to fight poverty and economic injustice. We partner with the Healthy Families Coalition to fight for earned paid sick days for employees working in Tucson. Low-income workers often must choose between going to work sick or sending their child to school sick because they lack the ability to take sick days. We partner with state and national consumer advocates to ensure the Consumer Financial Protection Board (CFPB) adopts effective rules against payday loans and other predatory lending schemes. We want individuals to make informed financial decision so we provide financial literacy education programs through The Rural Family Asset Development program. We developed the materials and make them available to non-profits to implement the training. We partnered with Arizona Children’s Action Alliance to create the Arizona Grandparent Ambassadors Support and Advocacy Network. Research shows that approximately 70,000 children are living with and being raised by their grandparents. We trained these grandparents as advocates. They have successfully influenced legislation in Arizona to access financial assistance and to keep families together. We partnered with faith based organizations, veterans, the Arizona Center for Community Action, the Center for Responsible Lending, Consumer Federation of America and neighborhood activists to defeat two attempts by the Arizona legislature to allow predatory loans with triple digit interest rates. We defeated those efforts in 2015 and 2016. We partnered with the Consumer Federation of America to research the impact of Auto Title/Registration Loans on Arizona borrowers. 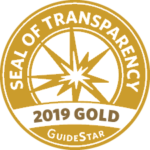 The Southwest Center for Economic Integrity is recognized for our transparency with a 2019 Gold Seal on our GuideStar Nonprofit Profile. Now our community, potential donors, funders, and key decision makers can tangibly see our commitment to financial accountability. By adding information about our goals, strategies, capabilities, achievements, and progress indicators, we are highlighting the difference we help to make in the world. More than 300 individuals have contributed to the organization since our inception and we continue to grow our donor base. We welcome your support. Contact us today!